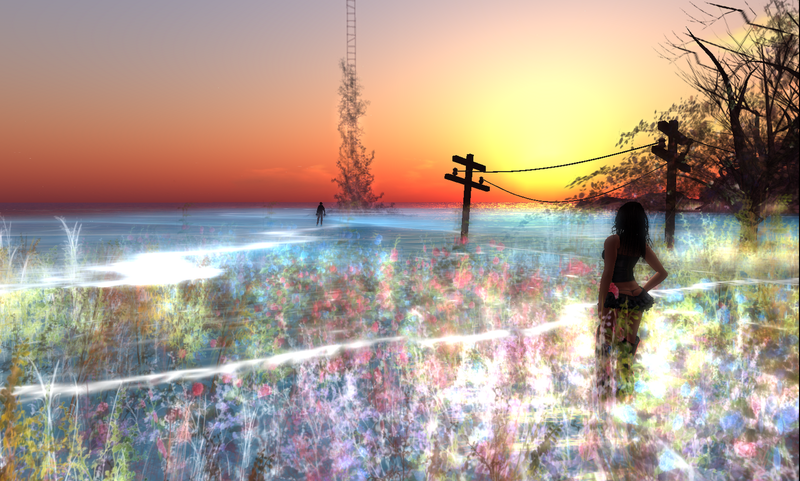 Embryo is a lovely sim created by siestabril Nitely (whose shop on the sim is called un Jour) and ruki Ragu (whose shop is called rucott). 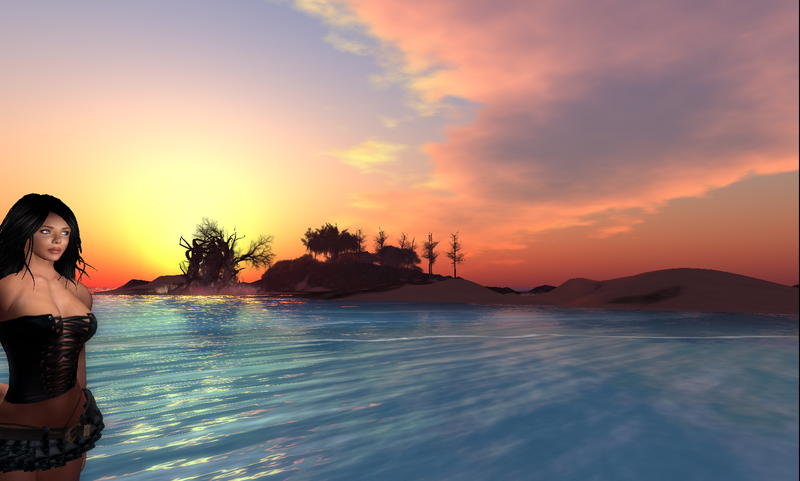 The vistas are captivating in this "flooded" sim—you'll end up walking through lots of water—the perfect place to play around with windlight settings (these photos are in sunset-pevensie). A phantom ladder reaches up into the clouds—make sure you fly up to see what awaits at the top! An elegant use of transparent floral textures, particles and chairs (something of a motif here) provides a great atmosphere. un Jour sells some beautiful ladies clothes and accessories, while rucott, located on the opposite corner of the sim, offers everything from pre-fab houses to a windmill. Embryo is also enhanced with its own website. My outfit in these photos is the new Corset Leather Girl Black by Babele Fashion.